This 6-Piece Mini Manicure Kit includes all your essential manicure tools stored in a stylish black and white chevron case with snap closure. 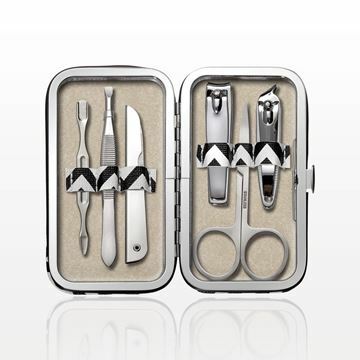 This set includes all stainless steel, high quality tools including a cuticle pusher/pick, tweezer, nail file with protective case, nail clipper, cuticle scissors and an ingrown nail clipper. Convenient for home use or for travel, this versatile manicure kit can also be sold at retail or offered as a promotional giveaway. 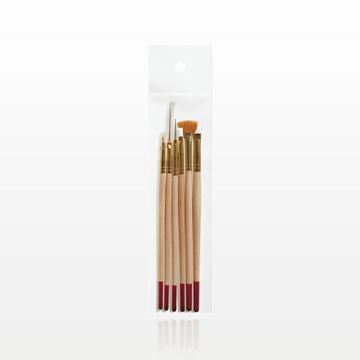 Create intricate nail designs during manicures and pedicures with this 6-piece professional nail brush set. This set comes packed in a convenient polybag with hang tab to display in a retail setting. 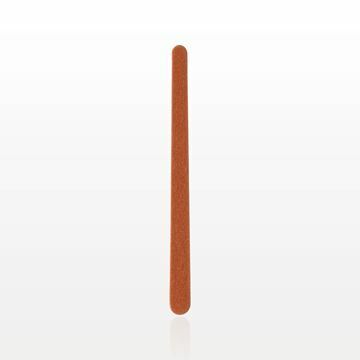 Perform hygienic practices during nail treatments by using this 7 inch birchwood disposable manicure stick with dual ended bevel tips. 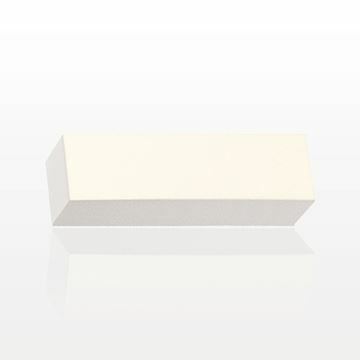 Buff and smooth out nails during manicure and pedicure treatments with this white buffing block. 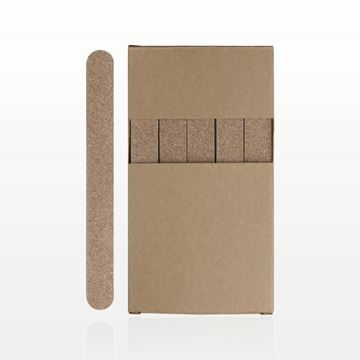 This item is perfect to include in your clients' individual nail kits. 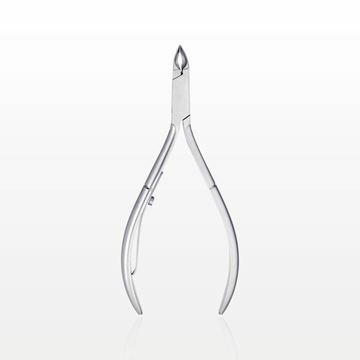 Precisely trim cuticles during manicures and pedicures with these stainless steel cuticle nippers with comfortable, long handles for added convenience. 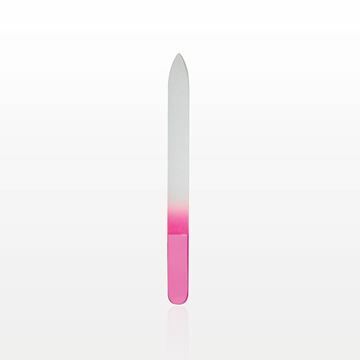 Maintain a hygienic environment with this pink tipped 3.5 inch disposable plastic cuticle stick. 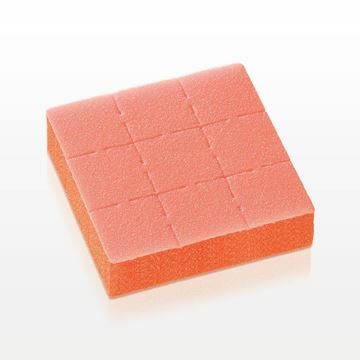 Buff and smooth out nails during manicure and pedicure sessions with these disposable mini orange buffing blocks. Help maintain a sanitary working environment by using disposables on your clients whenever possible. Recommended for use on artificial nails, this 7 inch 2-way black nail file is made with 100 grit on one side and 180 grit on the other. 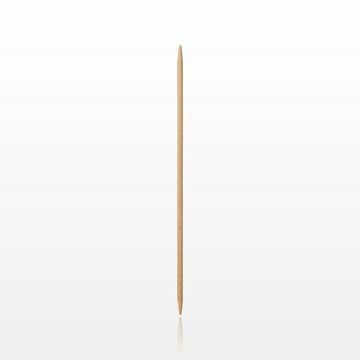 This 7 inch wood file made with 100 grit is an excellent tool for filing and shaping nails. These Soak Off Foil Nail Wraps are specifically designed for a convenient and effortless way to remove gel nail polish. 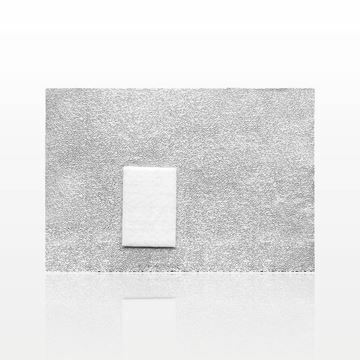 Simply apply nail polish remover to the cotton and securely wrap foil around the finger. Leave foil wraps on for 10-15 minutes to penetrate and loosen polish. 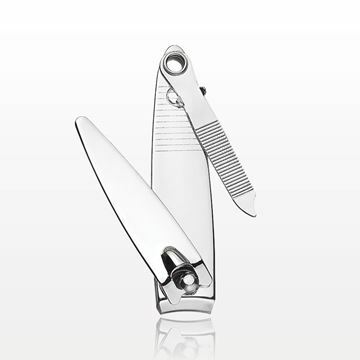 These high-quality stainless steel nail clippers were designed with an ergonomic handle and curved blade for a clean, even cut. Salon and spa manicures require expert tools, including nail files in bulk, cuticle nippers, nail clippers, buffing blocks and other essential implements. 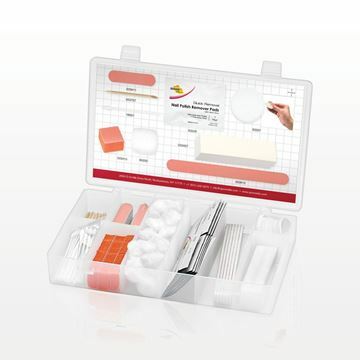 Our extensive selection of nail implements features high quality products for professional use. 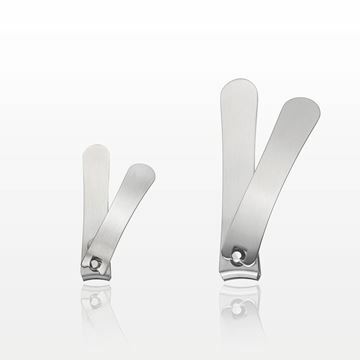 We proudly offer nail salon files designed for manicures and pedicures. Our durable files come in a range of grits and materials. These versatile products are available in 100/100, 100/180, 180/180 and additional grit combinations. 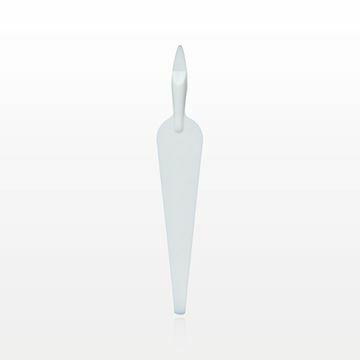 Products such as our wholesale tapered nail files will help shape and even out edges. Shop now to find the best professional nail files for the smoothing, contouring and shaping of both natural and artificial nails. 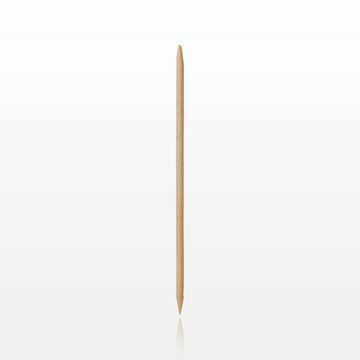 High quality products help to create well-shaped, lustrous nails while reducing the chance of chipping or peeling. Our buffing blocks and wholesale nail files are must-haves for professional nail technicians to keep at their manicure/pedicure stations or in a client’s personal nail kit. We have buffers in various dimensions that contribute to nail prep and add a polished look without the polish! 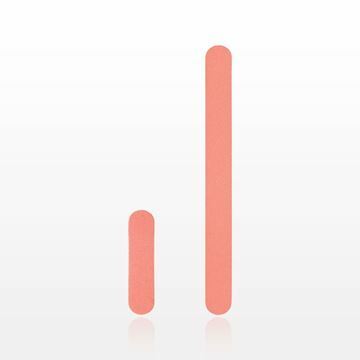 Shaping tools and buffers feature customizable options. At Qosmedix, we provide a comprehensive assortment of manicure and pedicure products, including the best nail and foot files for beautiful results. 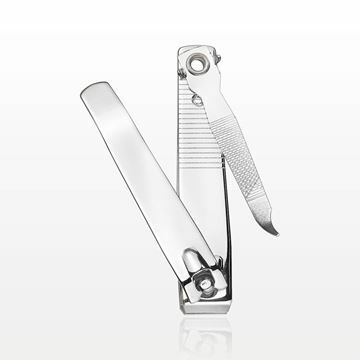 For cuticle care, we offer professional grade cuticle pushers, manicure sticks and cuticle nippers. 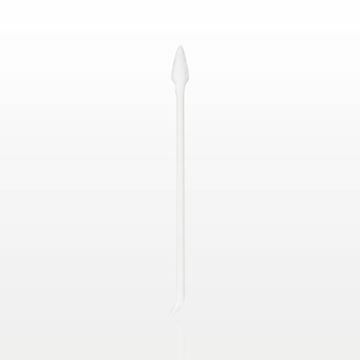 Our sterilizable implements support the hygienic manicure and pedicure process. 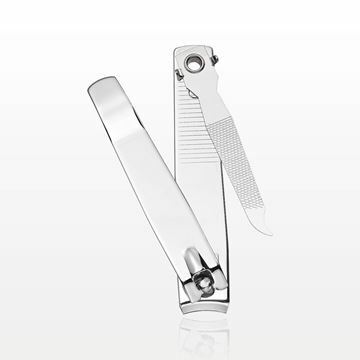 There are cuticle pushers that also serve as nail cleaners and sturdy clippers that are vital to performing pedicure treatments. Our product selection includes traditional and innovative items, such as Foil Nail Wraps that soak off gel polish effortlessly. Qosmedix wants to support your success, so contact us to learn more about proven products for your spa or salon.